Mertens Fine Art specializes in collectible American and European Modern and Contemporary paintings, prints and sculpture. 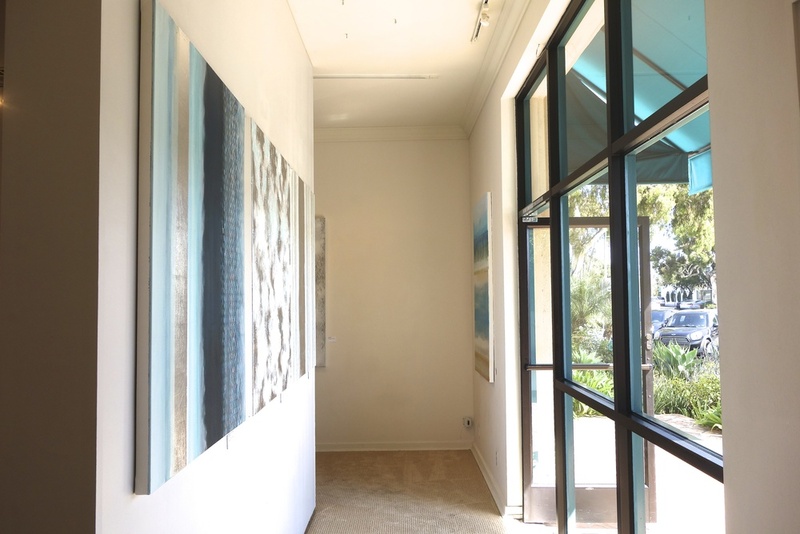 Located in Montecito at 1266 Coast Village Road the gallery exhibits works by Helen Frankenthaler, Jasper Johns, Andy Warhol, Richard Diebenkorn, Tom Wesselmann, Sam Francis, Pablo Picasso, Marc Chagall, Pierre Auguste Renoir, Henri Matisse and Joan Miro, to name a few. We also represent Contemporary Artists Julika Lackner , Robert Emmons, Aris Demetrios, Patricia Hinds, and Henry Wessels. Mertens Fine Art has had a great success with the Great Friends Exhibition featuring the sculpture of Robert Emmons and Aris Demetrios. 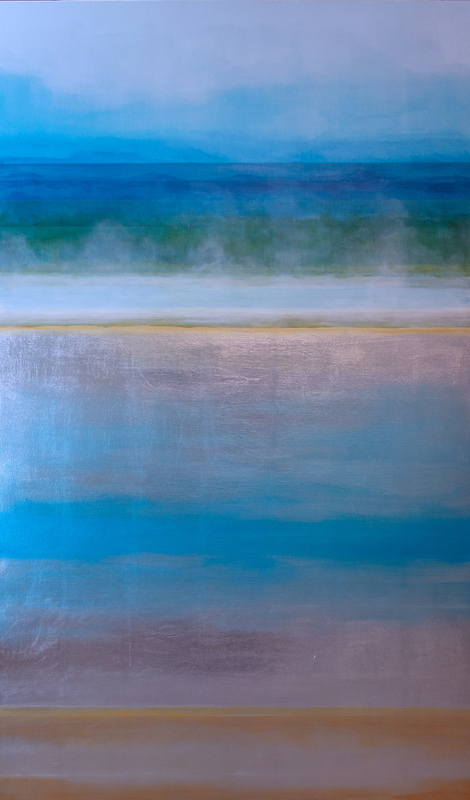 This exhibition will be followed in the fall with an October show introducing new paintings by Julika Lackner. Julika Lackner was born in 1980 in Berlin, Germany and currently lives and works in Los Angeles, CA. Julika Lackner holds a B.A. from the University of California Santa Barbara in Art Studio (2001) and an M.F.A. 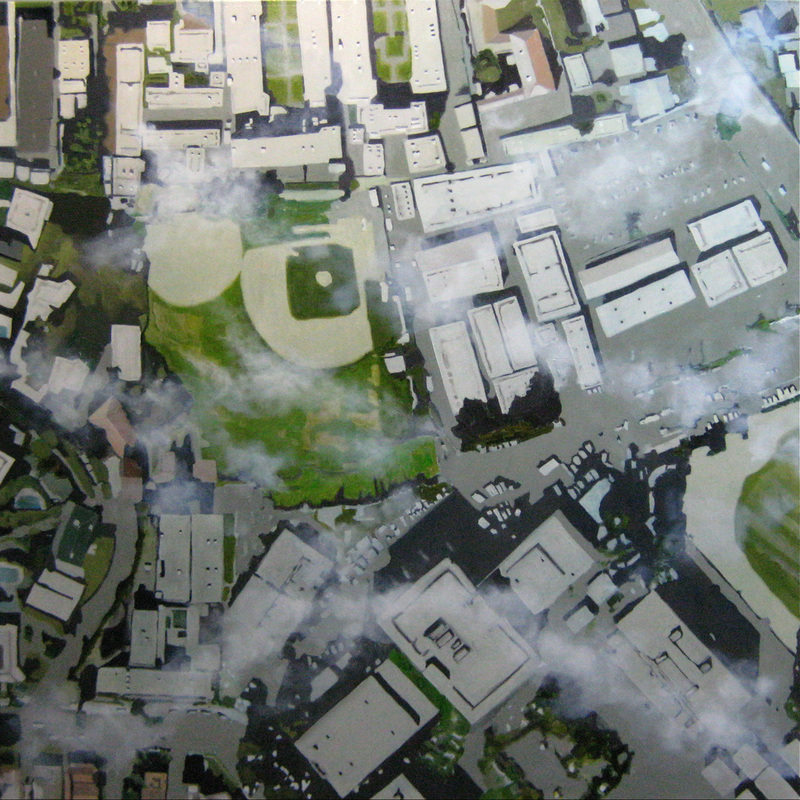 from the Art Center College of Design, Pasadena in Painting (2006). 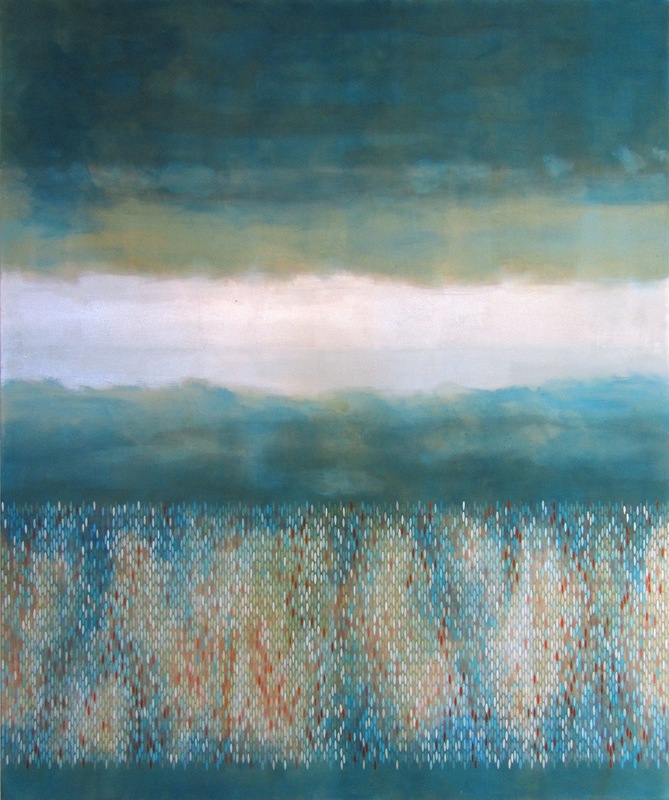 Painting atmosphere and the palpability of air has always been at the root of Julika Lackner’s paintings. First, it was in the form of artificial light in urban spaces and how that kind of light abstracts interior architectural spaces. Then, her interests moved to how natural phenomena (night sky, clouds, and fog) obscure vision. 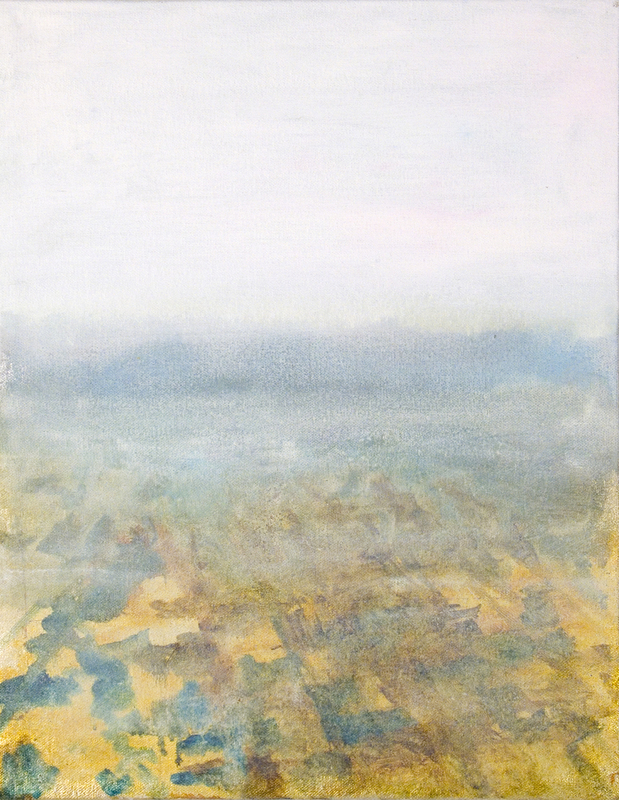 After that, Lackner examined the properties of aerial views where the topography as seen through the clouds fleshed out the invisible yet visible aspect of air. 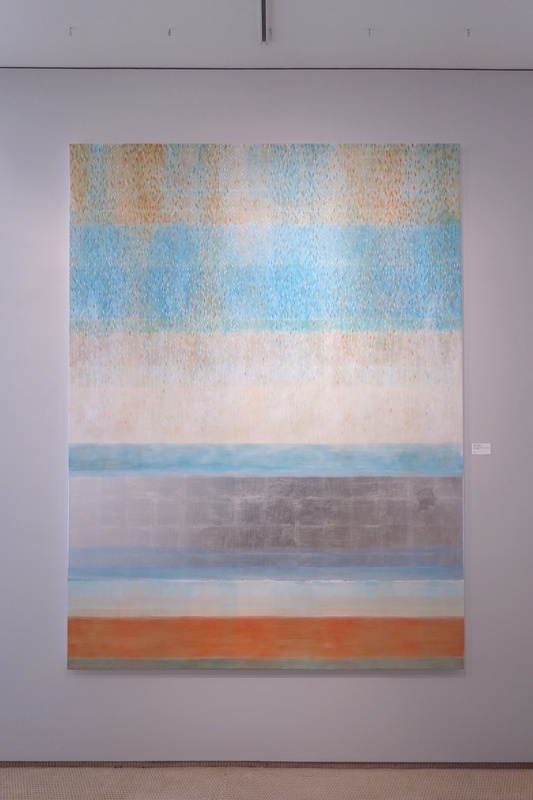 Then, Lackner distilled the natural phenomena of her previous work into abstract forms composed of horizontal and vertical bands of paint and silver leaf, color markings, diaphanous layering, and turbid spaces. 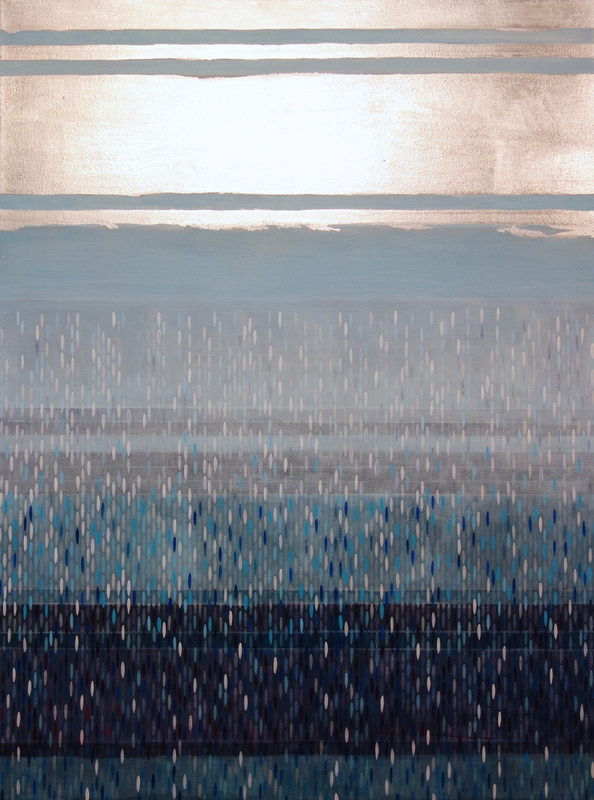 The confluence of these abstract forms into new phases, where the traditional landscape is experienced without being directly represented, is at the core of Julika Lackner’s most recent works, “Spectral Phases”. 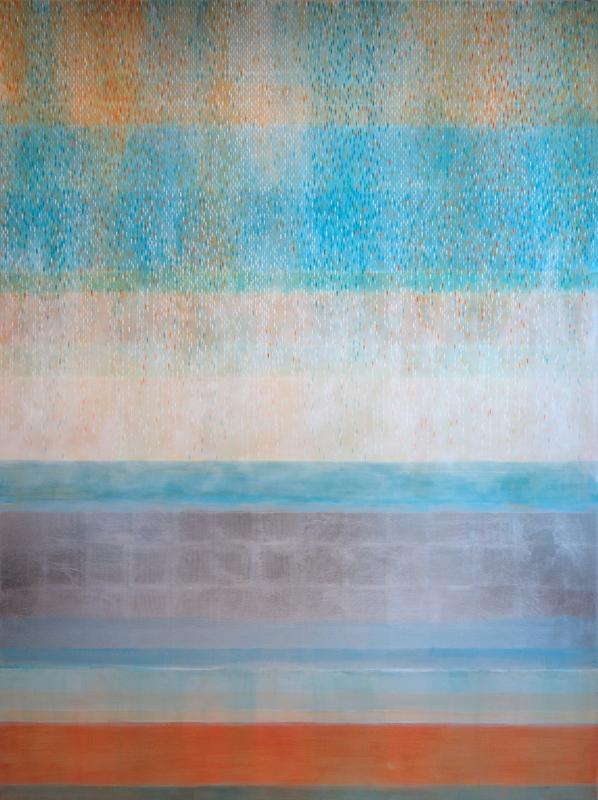 Occasionally a young painter makes a quantum leap forward to a new level, and this seems to be the case with Julika Lackner, as evidenced by a fine and comprehensive exhibition this fall at Alex Mertens Fine Art, in Montecito, just outside of Santa Barbara. 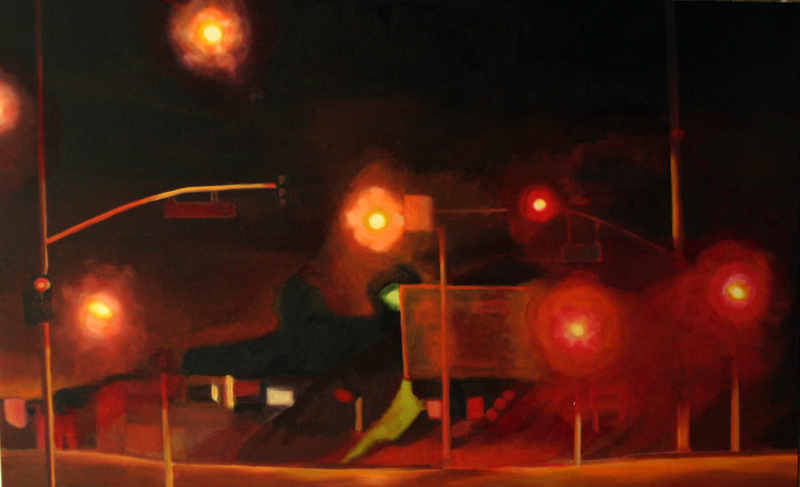 Lackner was raised and educated partly in Santa Barbara, partly in Berlin, and the balance she’s achieved between the representational rigor and psychological tension of the Northern European tradition and the sun-soaked pleasure principle of Southern California makes her work both viscerally and intellectually engaging. Her new tack, which, to be fair, has been underway for at least three years, involves a shift from representation to abstraction—from standing apart from the scenes she paints to a kind of merging with the atmosphere. The self-assured elegance and power of this change was made possible by long hours of research and practice painting representational light situations, from lively night skies to lurid urban lightshows to aerial views semi-obscured by gauzy clouds. 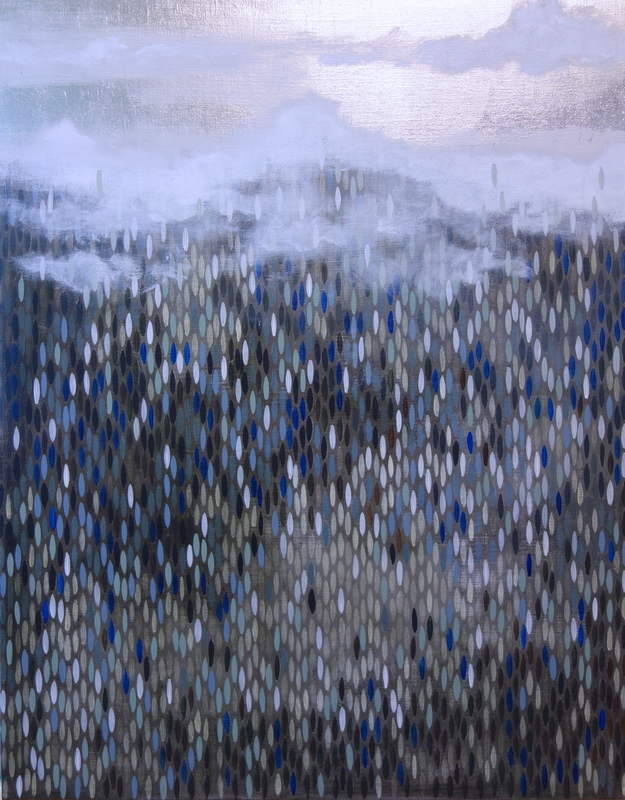 The new series of works, which are titled Spectral Phase numbered 1 – 8, were painted in 2013; they follow other, large immersive canvases from the years 2011 and 2012 with names like Daybreak and True North. 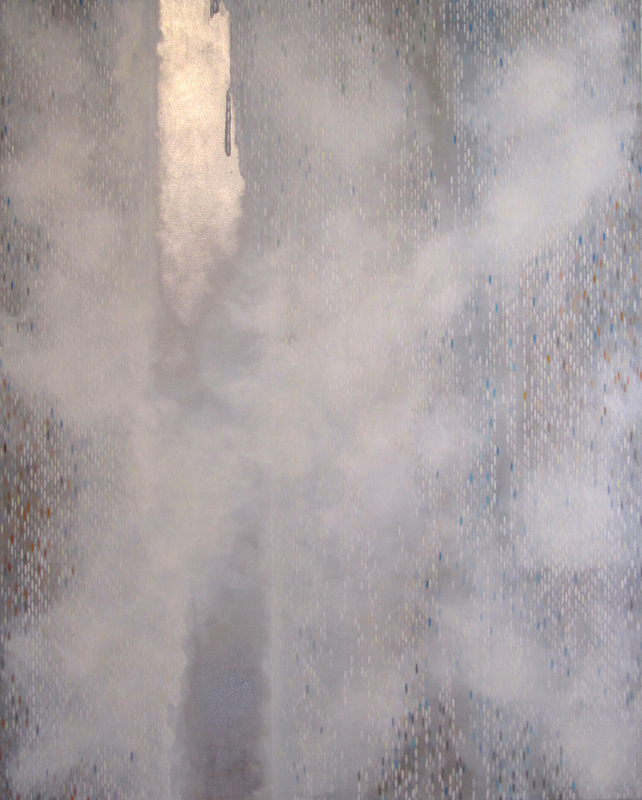 They combine great washes of saturated acrylic color with reflective aluminum surfaces and fields of geometrically arranged brushstrokes in the ovoid shape of small lozenges, or, as critic Jeremy Gilbert-Rolfe has termed them, “boats.” Their overall impact lands somewhere between Mark Rothko and the avant-garde cinema of Stan Brakhage. The term “boats” derives from the look of Lackner’s 2008 series of representational aerial views of Los Angeles, and in particular from an image of Marina del Rey, called From Above, that depicts actual boats. However, in her new paintings, these floating signifiers have shipped anchor and begun to move through a new element that’s part air, part water, and all visual sensation. Their presence in the midst of Lackner’s masterful control of adjacent color values and reflective surface effects makes these paintings a persuasive contribution to the ever-shifting tradition of contemporary art in California, and beyond. 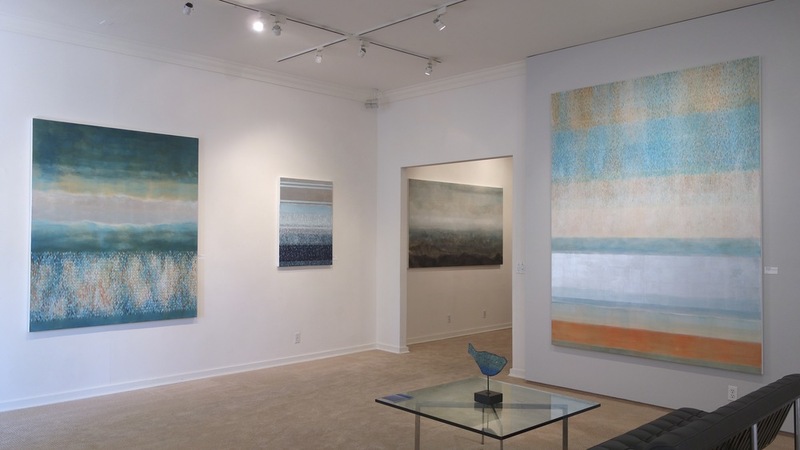 Over at theMertens Fine Art gallery on Coast Village Road in Montecito, there’s a substantial show of paintings old and new by Julika Lackner. Lackner, who grew up partly here and partly in Berlin, is one of the hottest young painters in Southern California, and this show is not to be missed by those who like their art to be sensual, intelligent, and rapturous. Lackner’s style as an abstract painter developed through rigorous training as a representational artist, and in particular as a painter of landscapes. Close attention to adjacent color values remains a major factor in such recent series as the Spectral Phases, several of which are on view. These large canvases combine the abstract energy fields of Barnett Newman’s “zip” paintings with a touch and technique that’s all new. 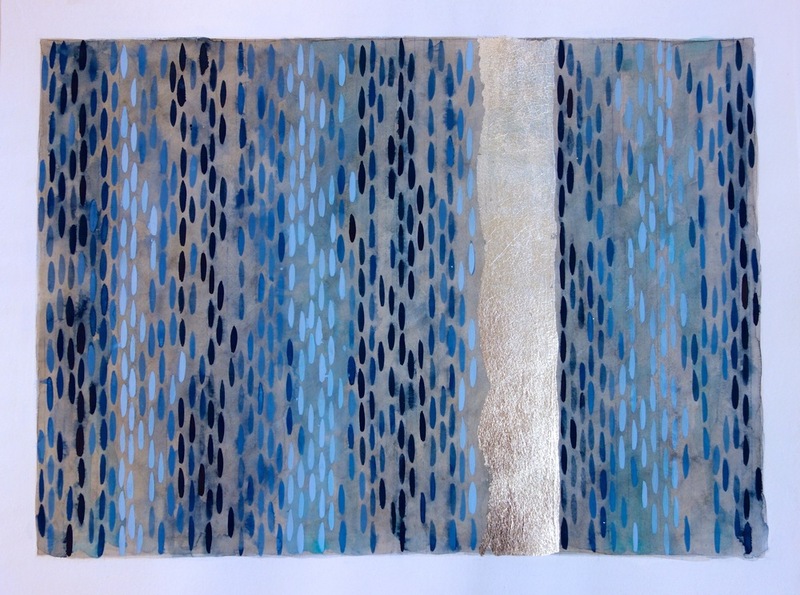 For one thing, Lackner uses a kind of beaded line that allows her to inflect the surface with small lozenge-shaped dots of color. 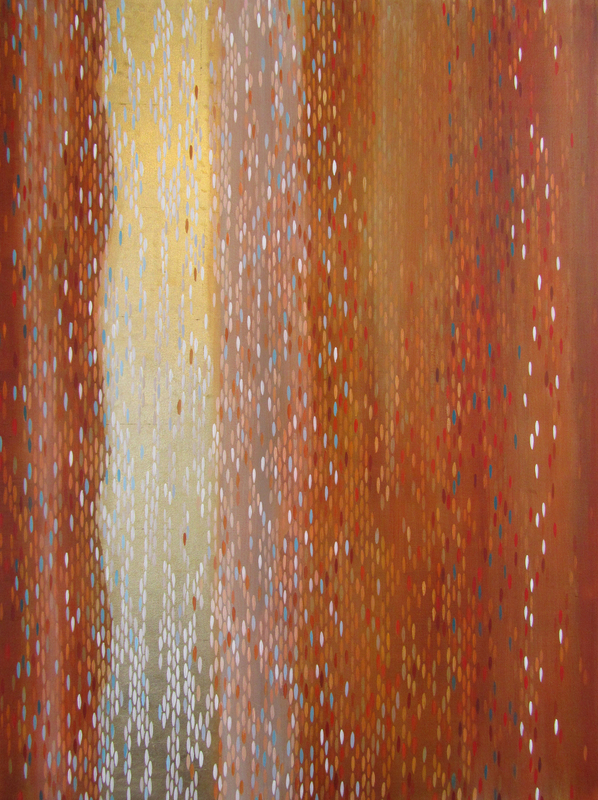 This nearly pointillist technique shouldn’t work alongside the severe demands of the stripes and their geometry, but it does. The effect is akin to stepping into a rainbow or wearing a halo made of natural light. 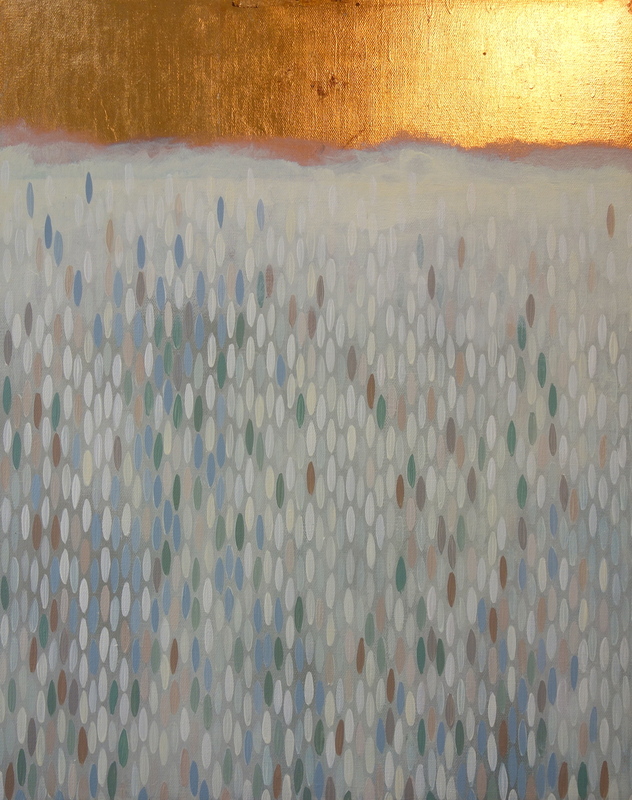 Lackner’s preferred medium of acrylic paint also allows her to create brilliant splashes of metallic reflection, visual elements that cause the large canvases to undergo radical shifts as the viewer crosses their field of influence. 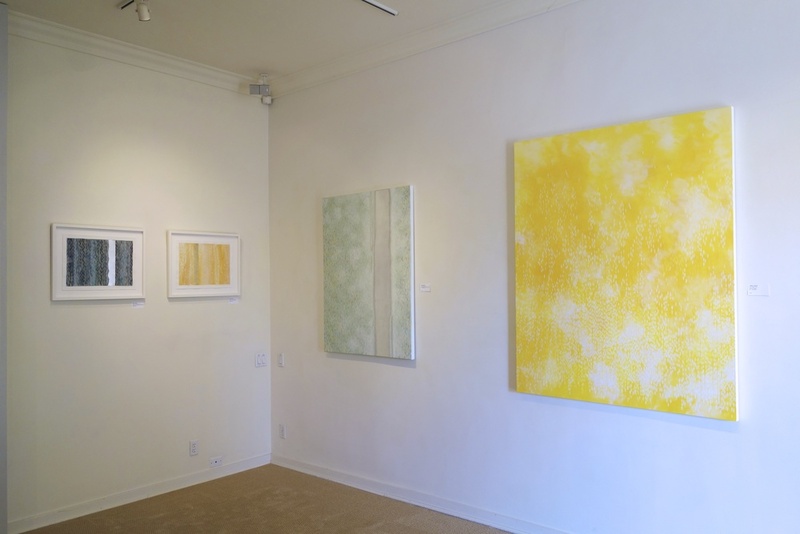 Whether the zips are verticals, as in Spectral Phases numbers one and two, or horizontal, as in the yellow toned “Spectral Phase 8,” their unimpeded passage from one unframed edge of the canvas to the other conveys a sense of transcendence. Take the discipline and spiritual yearning of the Northern landscape tradition, and then set it adrift in the brilliant, swirling, and fragrant mists of an evaporating Santa Barbara marine layer, and you’ll have some idea of what pleasures await in this excellent and enlightening exhibit.